David McClain, executive director of development in the Division of Advancement, was sworn in Sunday as the new alderman for Ward 6, Position 2, on the Jonesboro City Council. 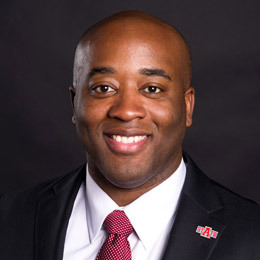 McClain, who joined the university staff in 2011, completed his Bachelor of Science in management and Master of Public Administration degrees at A-State. Previously he was a field representative for former Congressman Marion Berry. The other new alderman is A-State alumnus Joe Hafner. 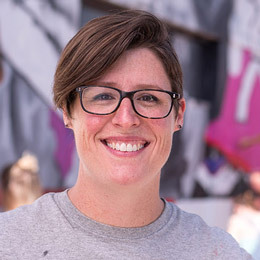 The mural in downtown Jonesboro completed last year by Melissa Wilkinson, associate professor of art, and her students and upcoming projects were cited as a great example of community improvement in a Waco, Texas, newspaper column. 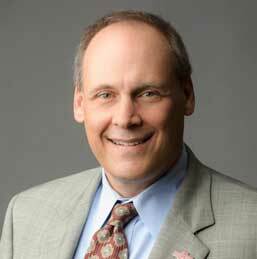 David Smith, a Baylor University lecturer, asks fellow residents to support development of a public art program, and mentions A-State's leadership in the art initiative now called Fearlessly Brilliant. The article is online. Dr. Brad Rawlins, vice rector of Arkansas State Campus Querétaro, participated in a campaign launch for The Voices for Peace Network (Red Voz por la Paz) in Buenos Aires, Argentina. The event featured two previous recipients of the Nobel Peace Prize. A-State CQ has committed to earning the designation of "Campus for Peace" and Rawlins is organizing a network of university rectors in Mexico to promote peace. Details are online. While planning is underway for the Johnny Cash Heritage Festival in October, Rex Nelson's commentary in the Arkansas Democrat-Gazette highlighted Arkansas Heritage Sites and its work to preserve the boyhood home of Johnny Cash, Dyess Colony, and the government's Depression-era response to poverty. 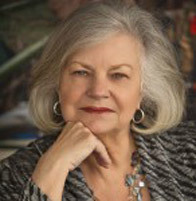 Nelson called the work by Dr. Ruth Hawkins, director of Heritage Sites, and her associates the project of the year because of its tourism potential. The article is online. 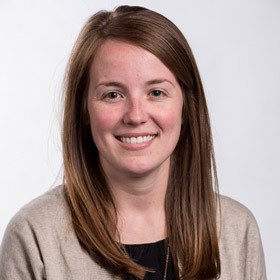 Katey Provence is adviser to Volunteer A-State, a student organization that operates the A-State Campus Food Pantry. Volunteer A-State students collected items and distributed 50 holiday meals just before Thanksgiving. Also, the pantry surpassed 200 households that have been served at least once since opening in October 2015. The Student Government Association set up the pantry and provided some startup and continued funding. To assist, one may email pantry@AState.edu.